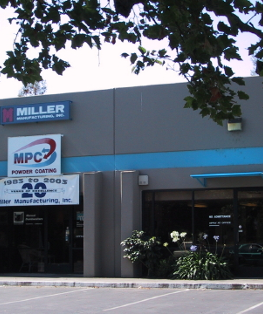 MPC, Division of Miller Mfg., Inc. is a diversified Northern California Company that has been in business for over 20 years. We are a manufacturer that had started powder coating to do our own products and later branched out to the public. We now have been coating for 10 years. 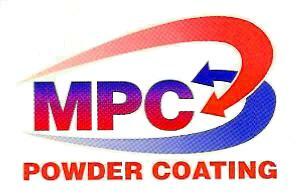 MPC is a batch system powder coater specializing in quality and service and can handle small jobs and big jobs up to 16' from prep to finish. Powder Coating is a coating that is applied electrostatically to typically a metal surface as a finely ground powder then heated in a curing oven above its melting point were it flows together creating a consistent film. There is a large abundance of colors, textures and clears to choose from. Powder Coating is also environmentally safe free of the harmful VOC (Volatile Organic Compounds) that many liquid paints have and the powder complies to the nations environmental laws.